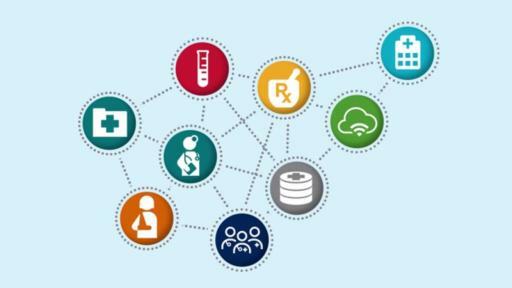 Washington, D.C. - According to a recent survey by Medicomp Systems, 43 percent of healthcare IT professionals and physicians cited that their top data-related challenge was not a lack of data but rather the struggle to access the right data at the right time. 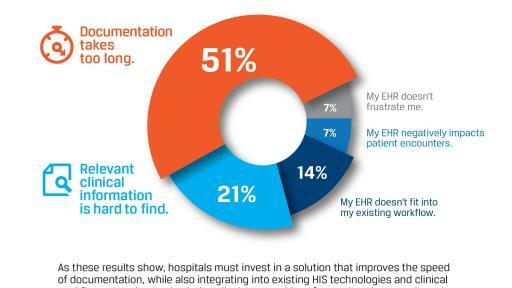 Those findings aren't surprising since the vast majority of health information systems today share a common design flaw: they don't think and work the way physicians do at the point of care. However, they are still deeply concerning. 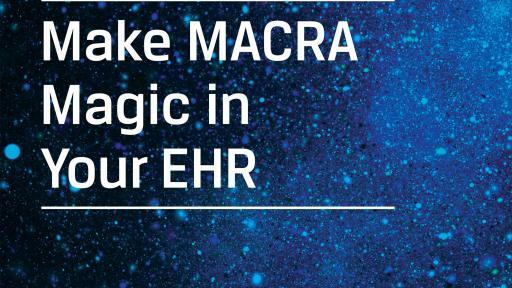 To deliver the best patient care, physicians need clinically relevant data that is seamlessly presented within their current workflows and integrated into the same workspace. The result is not only better patient care and better outcomes but also higher clinical effectiveness, efficiency, and satisfaction. 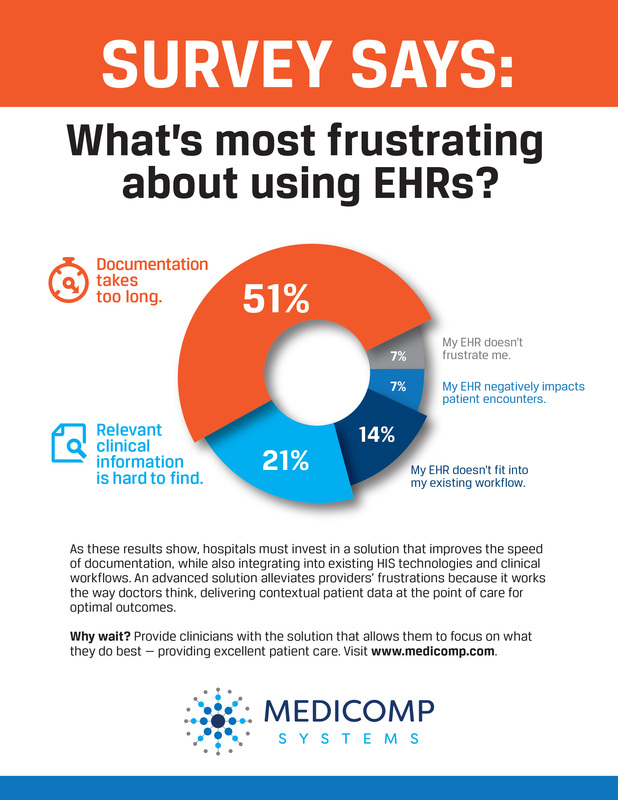 Survey Says: What’s Most Frustrating about EHRs? 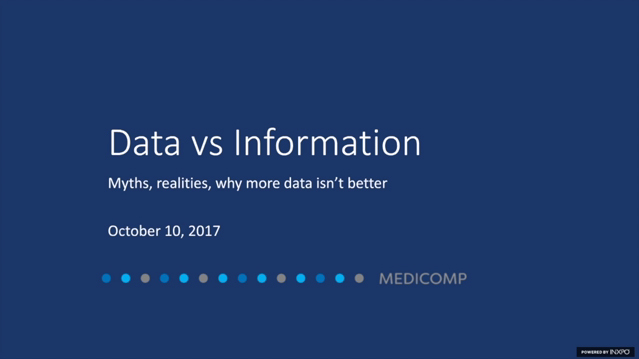 That's why this new E-Book explains not only the industry challenges around making meaning of clinical data but also the clear answer—translating those mountains of data into actionable information. 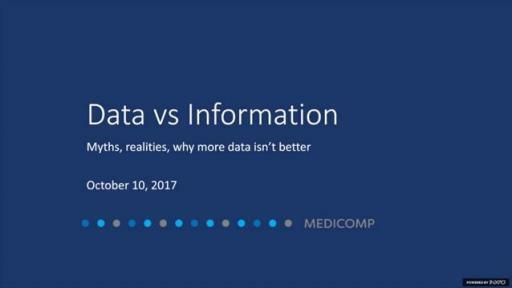 To learn more about how to approach data differently and enhance clinical decision-making with Medicomp's Quippe suite of solutions, visit www.medicomp.com. Medicomp's Quippe Clinical Data Engine was co-designed with physicians to transform disorganized, complex arrays of medical data into structured, clinically relevant information at the point of care. The Quippe suite of solutions delivers longitudinal patient information within a problem-oriented view, mirroring the way physicians think and work. 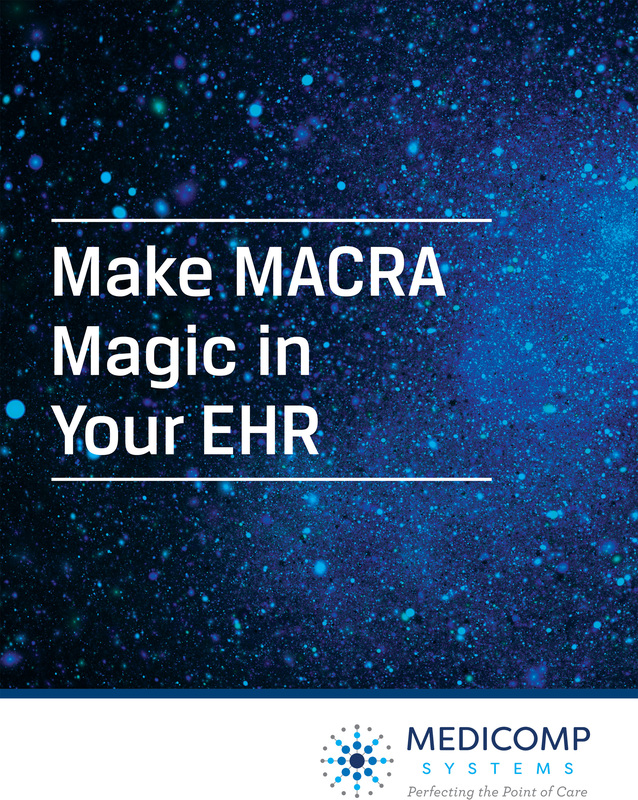 Leading health systems and over 100,000 users/day rely on Medicomp's expertise to improve care delivery.